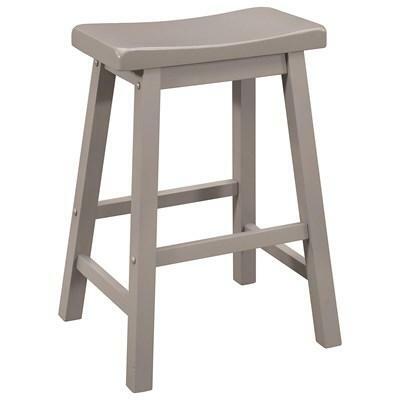 The casual simple look of this counter height stool makes it a great option for most home decor. 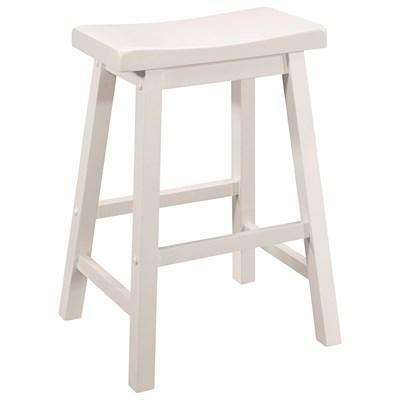 It comes in a white finish over solid rubberwood construction. 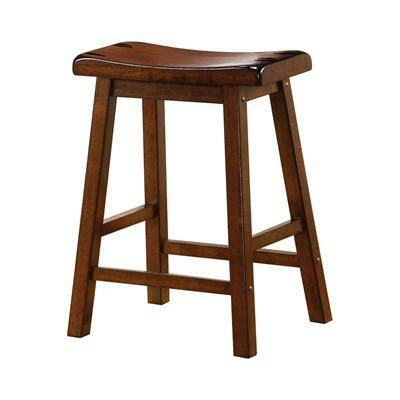 It features a scooped wood seat and angled block style legs and footrest. 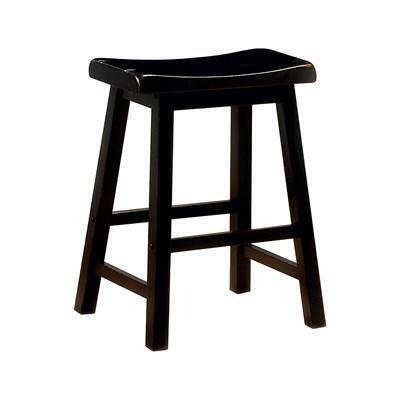 The casual simple look of this counter height stool makes it a great option for most home decor. 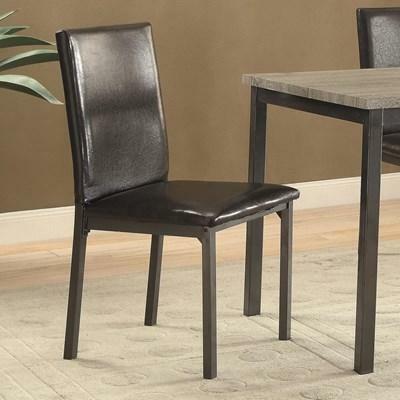 It comes in a grey finish over solid rubberwood construction. 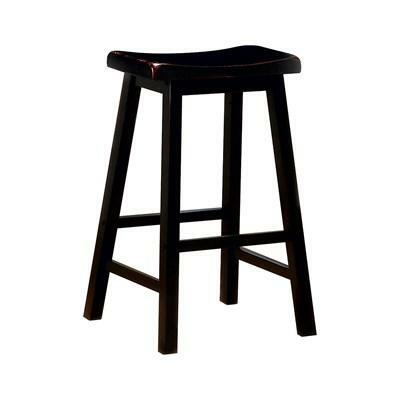 It features a scooped wood seat and angled block style legs and footrest. 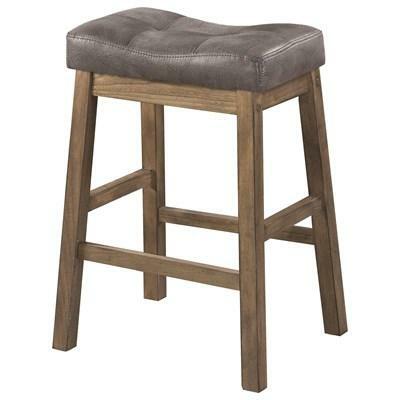 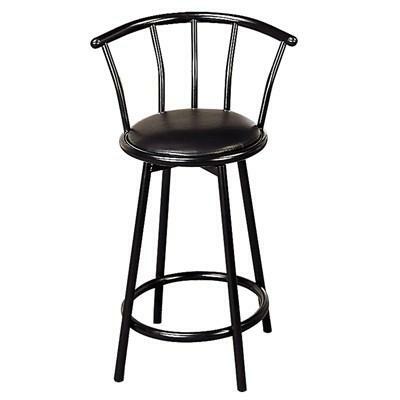 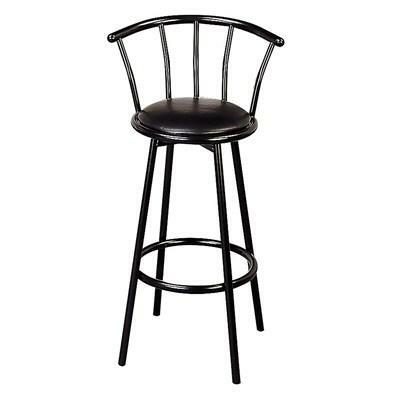 The casual simple look of this pub height stool makes it a great option for most home decor. 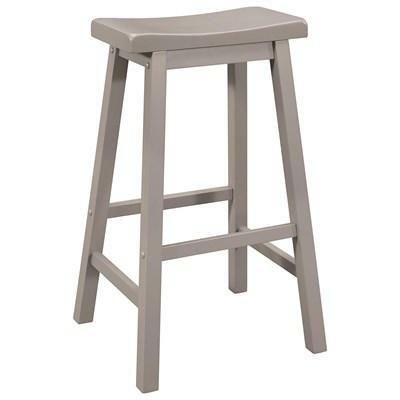 It comes in a grey finish over solid rubberwood construction. 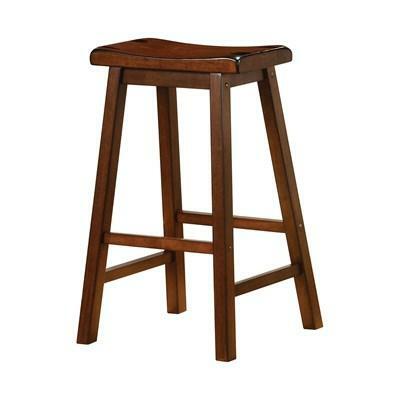 It features a scooped wood seat and angled block style legs and footrest. 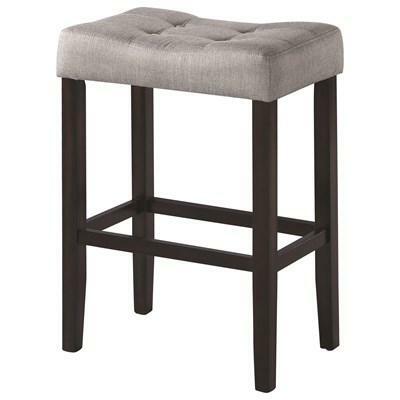 This bar stool offers an upholstered padded tufted seat cushion in grey fabric and wooden tapered legs and footrest in an espresso finish.